Which Volume Should I Buy? 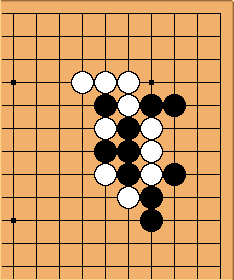 Volume 2 Problem 102 Black plays, White dies? What about sacrificing two Stones? BG2? WF2! Written by Kano Yoshinori and published in English by the Nihon Ki-in, first printings range from March 1985 to April 1990 and distributed by The Ishi Press. As of 2007, the series is available from Kiseido. The books cover a large range of fundamental knowledge that every player must acquire to the point that the answers to these problems become obvious upon first glance. 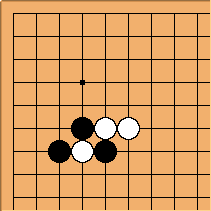 Using GoGrinder on SGF versions of the problems is a excellent method of learning the material. It may be that the listed ratings for each volume are more likely to indicate that a person of that rating should know all the material in that volume as opposed to indicate the level of difficulty of the problems. 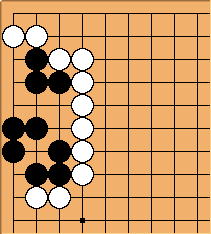 Volumes 3 and 4 are often useful for single digit kyu players, for example. a hint to solving the problem is provided in the text that accompanies each problem. the answers are in the back of the book rather than on the flip side of the page containing the problems. Problem 5: local area may have unequal numbers of stones? Volume 1 contains 239 problems which cover several areas including recognizing atari, most basic of ladders, most basic of snapbacks, and most basic of life and death problems. Volume 2 contains 327 problems and an appendix about nakade and bent four in the corner. 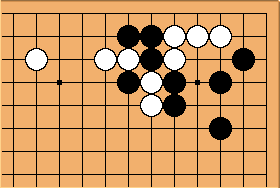 Volume 3 contains 421 problems, covering Opening, Middlegame, Life and Death, and Endgame problems in the first two chapters, Life and Death, Ko, Seki and Capturing Race problems in the third, with the fourth being life and death involving ko, seki, and capturing races. 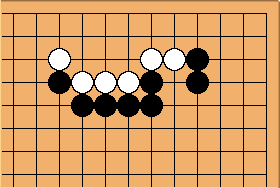 Volume 4 contains 390 problems, introducing middle game and opening problems as well as covering the same topics as volume 3 (plus a very small collection of "strange positions": Triple Ko, "long life", etc.) but with a greater emphasis on life and death. Volume 1 problems are solveable at glance by AGA 8k. Volume 3 problems are solvable within 30 seconds for KGS 5k. Volume 4 problems are challenging. There is a real gap, in terms of difficulty, between volumes 3 and 4. -- hqrpie? This section covers questions readers have regarding specific problems.